September 17-18, 2016; 11 a.m. to 4 p.m. The historic Bailly Homestead & Chellberg Farm plays host to a festival dedicated to the Indiana apple. Have you ever wondered why Indiana boasts so many orchards and groves? Bring your curiosity with you to experience traditional music, crafts and farming demonstrations. Your taste buds will crave old fashioned apple cider after you try your hand on the cider press, especially after you sample what you squish. It’s time to make like Johnny and plant some apple seeds. Admission and parking for the event are free. Want to learn more? Here’s where you should visit: dunesnationalpark.org/events. September 24-25, 2016; 12 p.m. to 7 p.m.
A blowout is coming to West Beach. 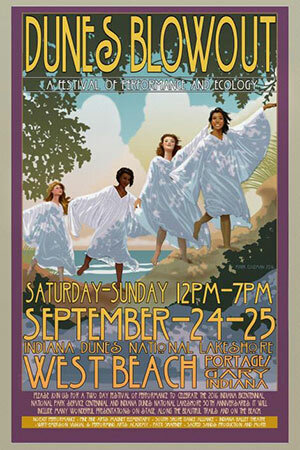 This festival pays homage to the Dunes Pageant of 1917 (a good year for pageants), which was formerly the largest outdoor performance ever held at the dunes. Let’s make this year even better. Special performances by the Indiana Ballet Theatre, South Shore Dance Alliance, Sacred Sands Reader’s Theater and an original song by Patti Shaffner provide the weekend with an awesome lineup of entertainment. Admission to the event is free and performances are happening rain or shine. However, you will need to secure your reservation ahead of time. Here’s where you can go to learn more information and to secure your seat: savedunes.org/dunes-blowout. October 1, 2016; 1 p.m. to 4 p.m. Preserve the fall harvest and prepare yourself – winter is coming. I, for one, know that my jarring potential has yet to peak. I can’t be the only one out there not making the most out of my mason jars. When was the last time you made yourself a nice jar of preserves? It’s been far too long. Get the lid out and learn how you can preserve your garden’s bounty whether you’re in a pickle or a jam. Ever wonder what the future holds? The people behind the Century of Progress Homes sure did. Go behind the scenes and explore five historic homes showcased at the 1933 Chicago World’s Fair with this once-a-year, one-day-only experience. The vision was bold and the designs were ambitious. Discover the creativity and wonder behind some of the most historic homes of the Indiana Dunes National Lakeshore. There’s a reason why these tickets sell fast. Secure your experience now. Talk about a double whammy – both the 100th anniversary of the National Park Service and the 50th anniversary of the Indiana Dunes National Lakeshore are commemorated through this special series. This year-long film series occurs on Saturdays at the Paul H. Douglas Center in Miller and Sundays at the Indiana Dunes Visitor Center in Porter. Films explore different National Park Services throughout the country and last about an hour. Admission is free and the knowledge you attain is power. 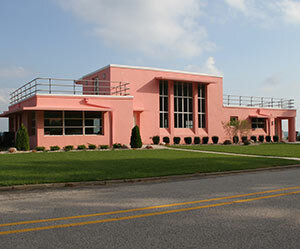 Learn more about the National Park Service and the Indiana Dunes National Lakeshore by visiting nps.gov/indu. Are we missing something? Shame on us! Share your event with us and let’s add it to the list. Why have five events if you can have six, you know?